Picture this scenario. 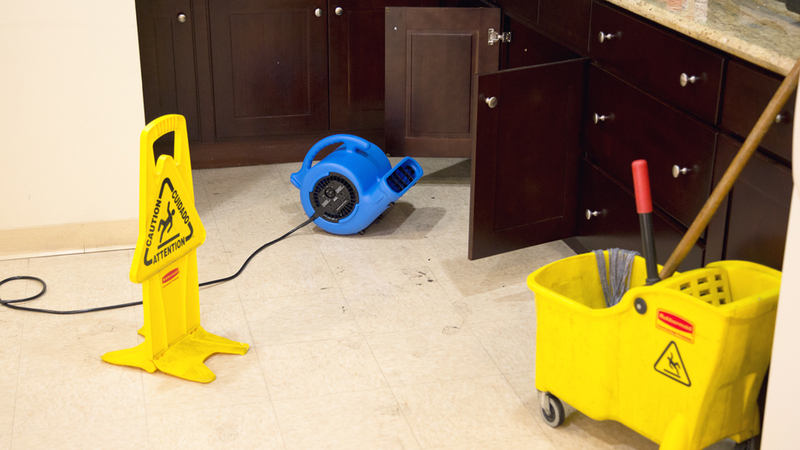 You arrive at a water damage for the first time and find the problem was caused by a leaking supply line in the bathroom. One of the first things you do is scope it out to determine the extent of the damaged area, what’s wet, what’s not. You also establish how wet the affected materials are and figure out the amount of work that’ll be required to finish the job. On this particular day you’re in a little bit of a hurry due to a heavy workload. You pull out your moisture meter and sensor and figure that the water also extends into one of the bedrooms and closet. Afterwards you fill out the paperwork, prepare an estimate, get the approval and go to work. This is a pretty straightforward situation and it doesn’t take long for your crew to finish up. Fast forward two weeks. You get a call that there’s a problem with the job. There’s mold growing in the living room and the client and insurance company are blaming you. You begin to wonder, “What in the wide, wide, world of sports is going on here? I was never even in the living room!” But you agree to a re-inspection and once you get there realize that the living room shares an interior wall with the closet and bathroom. You open the file, check the documentation and discover that you were right. You had never been in the living room – because it had not been scoped. In this situation you’re fortunate because the homeowner lets you fix the problem at your expense. But because of careless scoping, not only did you lose the money you would have made from the extra restoration work, but you had to pay to fix the problem. And let’s not forget the fees incurred if this had gone to litigation. Then you would have had to spend time collecting documents, meeting with attorneys, dealing with depositions and the trial itself – all of it time taken from working and growing your business. So slow it down a little and consider all possibilities, not assuming anything. The time it takes to do a thorough scoping job is negligible in comparison to the complications that can arise and the negative impact on your bottom line when you get in too much of a hurry.